a spark of elegance to your regular outfit with this luxurious Hamilton Rise up Bracelet. Luxurious looks makes it easy to wear for every occasion and it can be used by everyone from child to adult. This premium jewelry gives attractive look which definitely capture's your friends' attention. 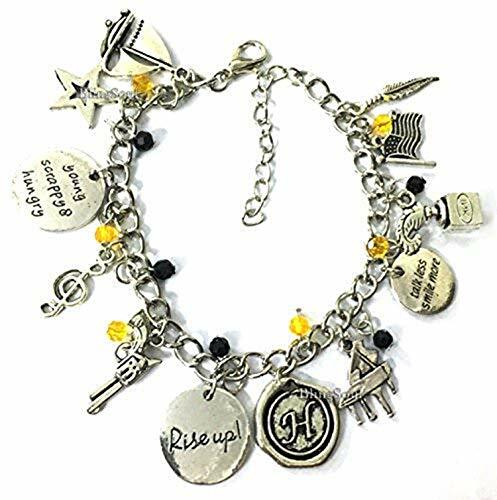 The Hamilton musical bracelet jewelry gives an attractive look and is an incredible way to show off your style. Contain lobster clasp for maximum durability, the brilliant color, and detailed design makes it an ideal collectible item for all. If you have any questions about this product by BlingSoul, contact us by completing and submitting the form below. If you are looking for a specif part number, please include it with your message.